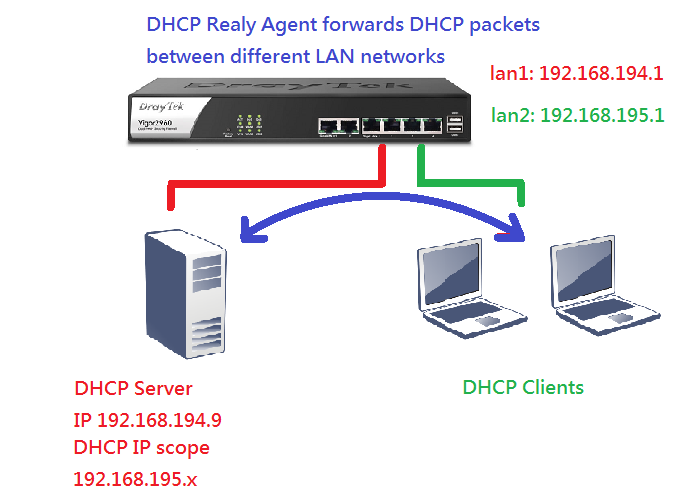 How to Use DHCP Relay over LAN for Vigor 2960? In this scenario, we assume that Vigor2960 has two LAN networks. And the Network Administrator wants the internal DHCP server connected to LAN 1 to assign DHCP IP addresses to LAN 2 clients instead of the Vigor 2960 acting as the DHCP server for LAN 2. The problem is, DHCP packets cannot pass between LAN1 and LAN2 because the two LAN networks are separated. However, the examples below will show you how to use DHCP Relay feature to achieve this purpose. 1. Go to LAN >>LAN General Setup, make sure there are two LAN networks on Vigor2960. 2. Disable DHCP server on lan2: Edit lan2 profile, select “Disable” for DHCP Server. 3. 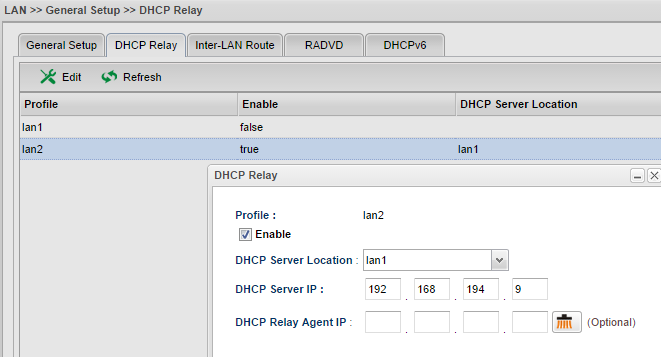 Configure DHCP Relay profile for lan2: Go to LAN >> General Setup >>DHCP Relay, then click Edit. 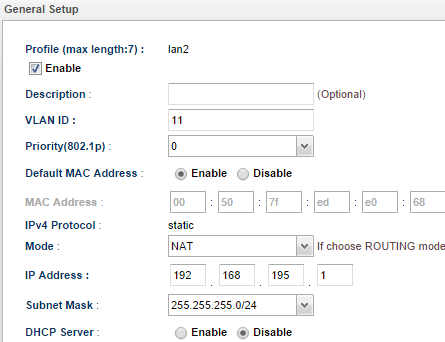 a.Check Enable to enable lan2 DHCP Relay Profile. b. Select lan1 for DHCP Server Location. d. Leave DHCP Relay Agent IP empty. Note: By default, DHCP Relay Agent IP would be the IP of this DHCP Relay profile. In this example, it will be the IP of lan2, which is 192.168.195.1. 4. 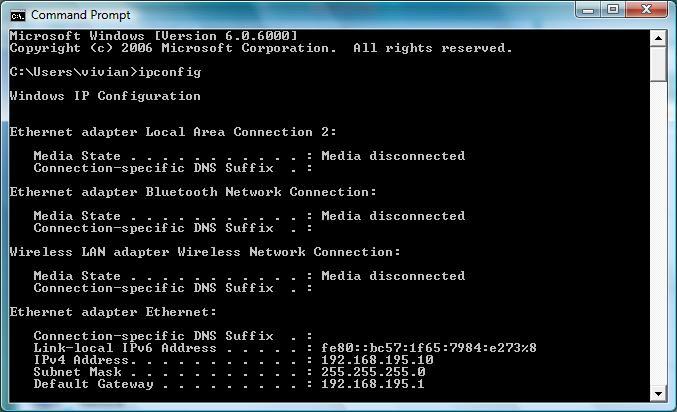 Connect DHCP Client to lan2 and use command “ipconfig” to check if it can obtain an IP 192.168.195.x from the internal DHCP server in lan1.